Hi there, I hope you’re well and enjoying your week so far! I can’t believe we’re nearing the end of January, time’s flying! Well, I’m here today to share this card that I made for my parents anniversary which was at the beginning of the month, this one’s from my sister. 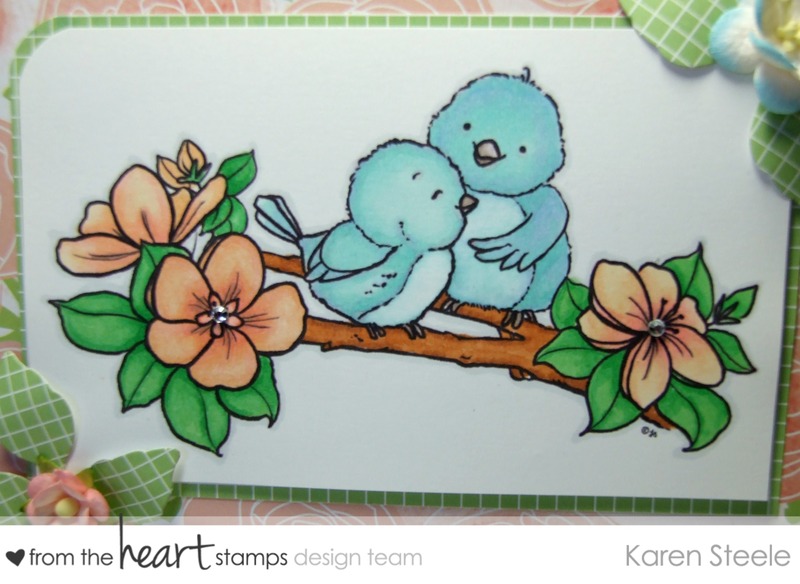 I have used this sweet digi available at From the Heart Stamps called Apple Blossom Birds – isn’t it sweet?! Why not pop over to the BLOG to see what the DT have come up with for some mid-week inspiration. Also, don’t forget our weekly I (heart) Sketches challenge and Stamp of the Month challenge which you still have time to link up your creations for – details are HERE. I also used: Papers from Dear Lizzy Neapolitan by American Crafts, Spellbinders Foliage Dies, Spellbinders Label 4 Dies, Spectrum Noirs to colour, beautiful paper flowers and self-adhesive gems. Next > Bugaboo Birthday Bears…. 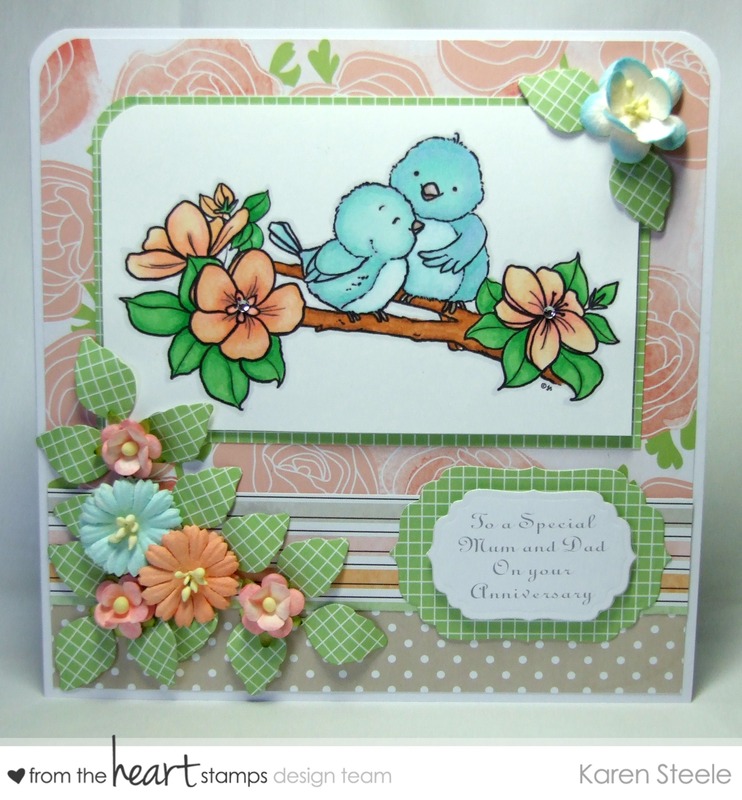 Gorgeous sweet card with the birds…love it!!! This is so sweet – It makes me smile out loud! I love the pastel colors and vintage look. I’m sorry I’m late visiting, been busy with ikea trips and sorting and tidying my supplies and craft space. Now I look forward to enjoy my tidy and organized space! What a sweet creation this is. Cute image and I like that you chose a patterned paper for the leaves, a nice, little but effective detail. Very pretty!